This 17th century Baroque palace on the market square houses the main branch of the Kraków History Museum, recently renamed the Kraków Museum (Muzeum Krakowa). Established in 1899, the palace has recently undergone an extensive transformation, including the gradual restoration of the entire building and complete digitisation of the museum collection. While parts of the building remain under renovation, the new permanent exhibit is open: Cyberteka. 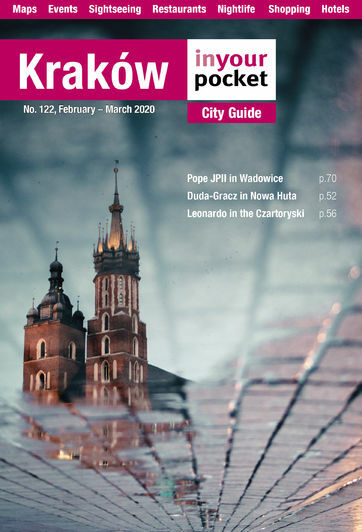 Kraków - Time & Space chronicles the spatial and urban development of the city from its earliest beginnings until about 1915, via spiffy multimedia displays and 3D films (note this exhibit is free on Tues). The ground floor of this market square building is also home to a large museum shop with lots of souvenirs, posters, books and other information available. Open 10:00 - 17:30. Closed Mon. Admission 12/8zł, family ticket 24zł. Tourist info, ticket sales and gift shop for all 15 branches of the Kraków History Museum.